Designing your own costumes and outfits requires talent and creativity. 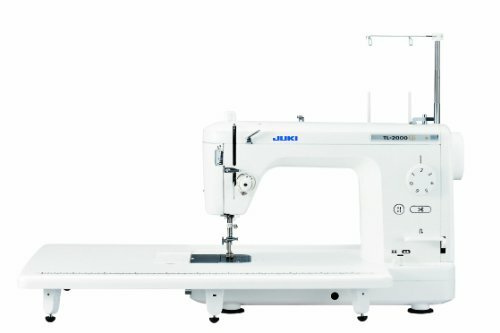 However, the Brother CE1100PRW can take your sewing to the next level. Even if you're not that great at it, you can still create impressive clothing. Furthermore, this product isn't just a typical sewing machine: it's a limited edition Project Runway machine. Do you understand how huge that is? If you're not familiar with Project Runway, we'll explain it to you. Basically, it's a show where excellent sewists come together to compete for a chance to work in the fashion industry. Models, fashion gurus, and celebrities judge their work, it's really intense! So, therefore any product associated with the show is a winner. If you want to take your sewing skills up a notch, this machine will help you do it. What Makes The Brother CE1100PRW Special? The Brother CE1100PRW is a limited edition computerized sewing machine that includes 100 original built-in stitches and eight styles of one-step auto-size buttonholes. It has a lightweight build and small frame that's perfect for sewing in tight workspaces. Plus, it includes free arm, which allows you to extend out more to sew pieces like the cuffs and sleeves. There's an LCD stitch selection on the machine as well as a bright LED work area. You'll stitch through the device with ease thanks to the Advanced Needle Threading System. The Drop-in Top Bobbin setting feature also allows you to begin sewing quickly, which helps you get through your designs effortlessly. 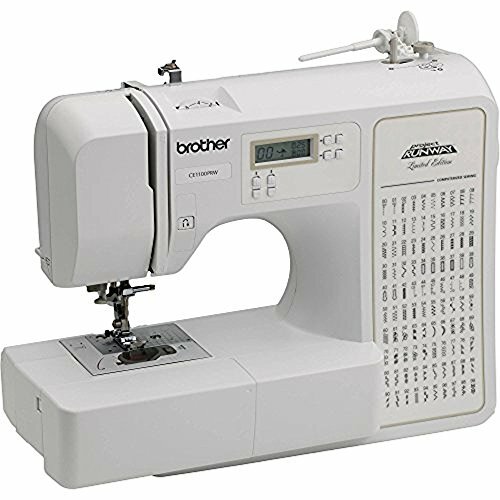 One of the most notable features about the Brother CE1100PRW is the 100 built-in stitches. Designing requires using different types of stitches and having a device with a variety of ready-to-go stitches is amazing. It includes everything for you, which makes your job easier. Just select the option you need, and start sewing! Making a buttonhole can be a bit difficult if you don't have experience with it. Luckily, this machine includes eight various options for making the slits. All you have to do is let it do its part, while you follow along. Following the lead of the device is a great way to help you get a feel for how you should make buttonholes. Keeping your fabric smooth while you sew ensures that the stitching will be neat and clean. The last thing you want is to have bunched areas throughout your design. Feed dogs help you work through the fabric smoothly. There's an ongoing debate about whether computerized sewing machines are better than the old-fashioned ones that have been around for years. Although models like the Brother CE1100PRW are terrific, it might not be everyone's cup of tea. If you're undecided about if it's right for you, there are a few things to consider. First, think about what you need the machine for. If you'll be designing complicated pieces, a computerized device with lots of stitching options works great -- but for basic sewing, no so much. On the plus side, an electronic sewer gives you lots of control over the speed and foot pedal and includes automatic functions to make sewing easier. Loads of stitch options and buttonhole features make the process go smoothly. On the contrary, all of the built-in features could be overwhelming for new sewists. Especially if there are lots of features you don't use. Electronic machines also don't last as long, and typically cost more. 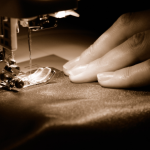 In regards to mechanical sewing machines, they're much easier to maintain. Without the electronic motherboard, there are less technical problems. They're also heavy duty, and can pretty much sew through anything. Not to mention they're more affordable than computerized sewing machines. However, mechanical devices can limit the amount of work you can do, and there are fewer bells and whistle. Plus, it might be more complicated to use. If you're inexperienced with sewing, having to tinker with the settings yourself might be frustrating. The Brother CE1100PRW is very affordable. The Brother website has a store locator to help you find the product at a retailer near you. If you're looking for an online source, you can also buy it off Ebay. As with anything that you purchase, there might be some negative aspects to it. The same thing goes for the Brother CE1100PRW. This machine is fantastic, and we'll be sure to highlight all the great qualities about it. But, we also want to be honest, and let you know what needs to be improved. But first, let's start with the good stuff. The portability of the machine is incredible, and we love how lightweight it is. You might not think that's a big deal, but it is. A compact sewing machine is easy to store out of the way, and it's perfect for small sewing rooms. Not only that, but you can take it anywhere. If you have to take it to a class or over a client's house to make adjustments, just put it on your back seat and go. The simplicity of this product really stood out to us as well. For those who are getting their feet wet with sewing, this is the perfect machine. It allows you to ease your way into the process and learn as you go. Lastly, the price is unbelievable. For this caliber sewing machine, you'd expect to pay much more, but that's not so. You can buy an advanced machine at an affordable price, and have money left over for fabric, it's fantastic. In regards to the downside of the product, the spool on the device is fragile. The overall structure of the machine is sturdy, but you want to be careful not to be rough with the spool. Moreover, even though we praised the simplicity of the product in the pros section, there's a negative to it. Since it's catered towards beginners, it doesn't come with the bells and whistles of a more complicated machine. If you're at an expert level, you might find that the device isn't sufficient for your needs. We researched as much as we could about the Brother CE1100PRW and read through several reviews from customers. Our goal was to find out whether the product worked as advertised, and if the low price tag affected the quality. We also found other similar brands to compare the machine to. Ultimately, we decided on the brand that had the best customer reviews. The customers on the Brother website rated the product 4.4 out of 5 stars. Over half of the reviews were perfect scores, but unfortunately, there were dissatisfied users. According to one reviewer, the device is difficult to use and not user-friendly. Although the Brother CE1100PRW is a great sewing machine, there are some other brands that are incredible as well. The products we picked have nice features and good customer ratings. This Singer brand device includes a built-in needle threader which threads the eye of the needle for you. So, there's no need to struggle with getting the thread through, the device takes care of it! It also comes equipped with five alphanumeric fonts, 13 built-in buttonhole makers, and an exclusive buttonhole underplate. Furthermore, the fast speed of the device helps you to get your outfits completed quickly. It creates 850 stitches per minute, which is super fast. Plus, there are a ton of accessories that come with this device. There's a variety of presser feet included such as the zipper foot, buttonhole foot, open toe foot, satin stitch foot, and more. The price range for an 820-stitch machine is between $300 and $400. The customers on Amazon rated it 4.1 out of 5 stars, however, some reviewers had a negative experience. Unfortunately for one user, the machine stopped working after three uses. This next device on this list is an easy to use machine with a large selection of features. 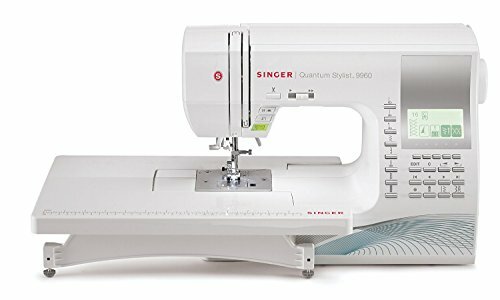 It's compact and perfect for beginners and expert level sewists. It includes 20 stitch patterns, plus an LCD to help you see better. You'll enjoy using the needle threader and the 7-point dog feet because both functions immensely help the sewing process. And in case you have lengthy materials that require more space, the free arm provides additional length. The reviewers on Amazon rated it 4.2 out of 5 stars. On the contrary, a customer stated that the foot pedal on the machine went haywire. This next sewing machine has a lot to offer. It comes equipped with 120 built-in sewing stitches with alphabet included. The simple to use control panel has an LCD panel that makes viewing easier. Plus the top loading bobbin system is jam-proof and helps the machine stitch smoothly. And just in case you need to go in reverse, the reinforced stitching will make sure the threading is secure. This device comes with tons of features as well. 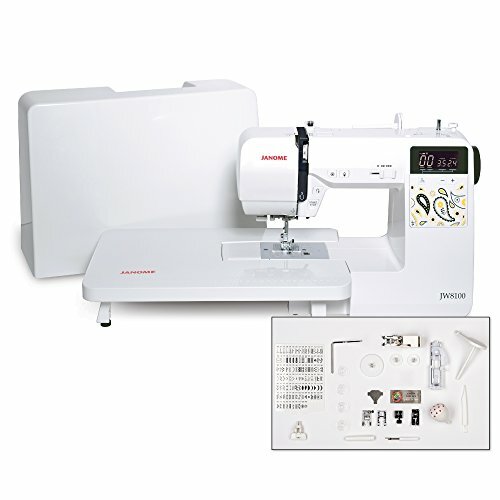 It has an extension table, sewing foot, spool holder, bobbins, seam ripper and more. This device is more expensive than the others on the list. The customers on Amazon rated it 4.4 out of 5 stars. However, there were some negative reviews. One of the reviewers stated the machine is too noisy. 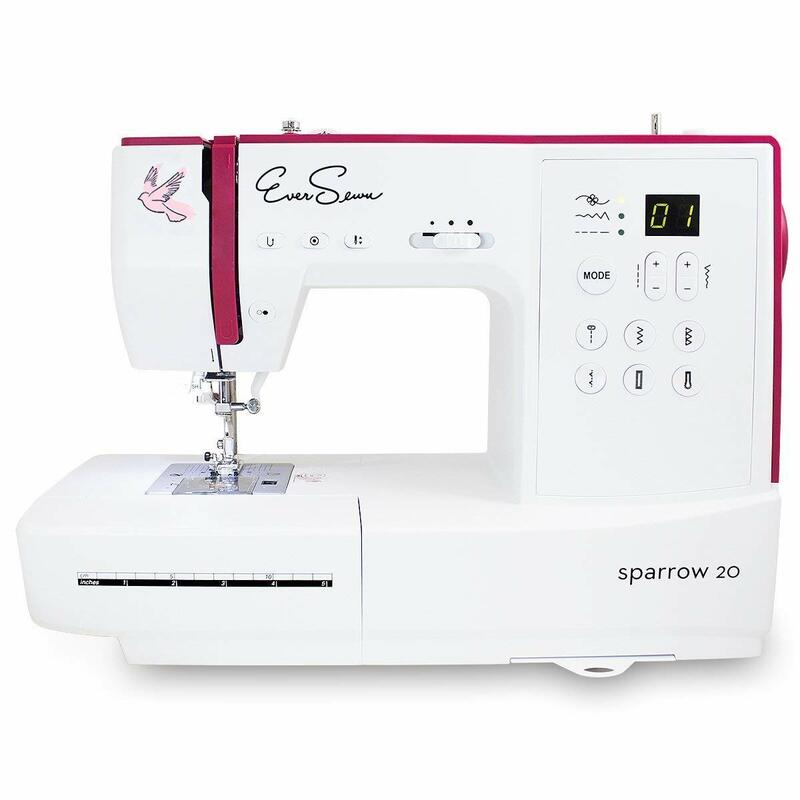 The Eversewn Sparrow 20 is a computerized model for experienced sewists. This computerized model includes 80 stitches with a maximum stitch of seven millimeters, along with 15 needle positions. Plus, the start/stop function lets you control the stitching without using the foot pedal. There's an LED light on the device, and it also includes ten quilting stitches. Furthermore, it contains a zigzag foot, zipper foot, a large spool, and other helpful accessories. The customers on Amazon rated it 4.6 out of 5 stars. However, there were dissatisfied customers. Per one customer, the machine stopped working properly after a week. Believe it or not, Toyota makes this sewing machine. That's right, a car company manufactured it, and it has a lot to offer. It might not be computerized like the others, but it stands up to the competition. If you're experienced with sewing, this device will work just fine for you. 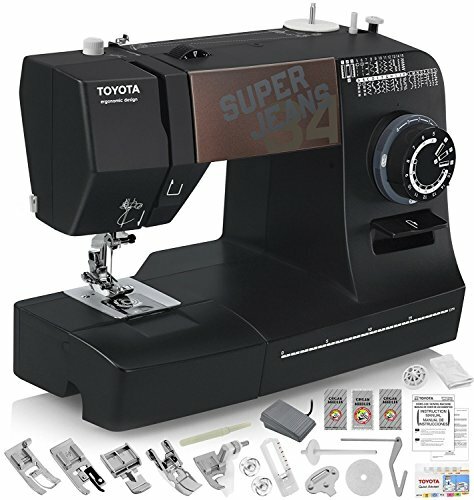 It allows you to sew through denim with ease and includes a gliding foot that's unique to Toyota machines. You can glide through 12 layers of soft denim, or nine layers of hard denim without missing a stitch. It also contains an automatic needle threader to help you with the eye of the needle. There's no preset pressure which means you can fine-tune the presser foot with exact precision. Additionally, it comes with built-in stitches which include utility stitches, stretch stitches, decorative stitches, overlook stitches, and other cool designs. If you're into designing amazing clothing that stands out, this machine has what you're looking for. The customers on Amazon rated it 3.8 out of 5 stars. However, according to one reviewer, the machine is poorly made. 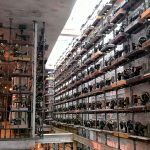 We have no doubt that any of these sewing machines would work incredibly well whatever your need. But after looking over all the products, we have to stick with the Brother CE1100PRW. What really grabbed our attention was the model itself. The fusion between the Brother brand with the Project Runway features is a match made in heaven. Even though that's our top pick, you can't go wrong with any of these machines. But of course, the device you choose will be based on your preference. We know everyone has different needs, so you should pick a product that best suits you. Who knows, you might one day have a shot at working in the fashion industry, too.